Multiple sclerosis (MS) is an autoimmune disease in which the immune system attacks the myelin sheaths that surround nerve cells, producing a variety of neurological symptoms such as limb weakness and sensory loss. In most cases, the disease progressively worsens over time, leading to severe impairments in mobility and cognition. Various medications may slow this progression, but the disease is currently incurable and unpreventable. Written and edited by experts in the field, this collection from Cold Spring Harbor Perspectives in Medicine captures our current understanding of the inflammatory processes that lead to demyelination and neurodegeneration in MS, as well as the treatment options that are available. Contributors discuss the genetic and environmental triggers that may contribute to the initiation of MS and the roles of factors such as B cells, T cells, microglia, astrocytes, and the microbiome in the autoimmune response and disease progression. The various MS subtypes and clinical courses are covered, as are current and potential biomarkers for diagnosing and monitoring the disease. The authors also examine disease-modifying therapies for MS, including hematopoietic stem cell transplantation, interferon β, glatiramer acetate, monoclonal antibodies (e.g., ocrelizumab), and various oral agents. 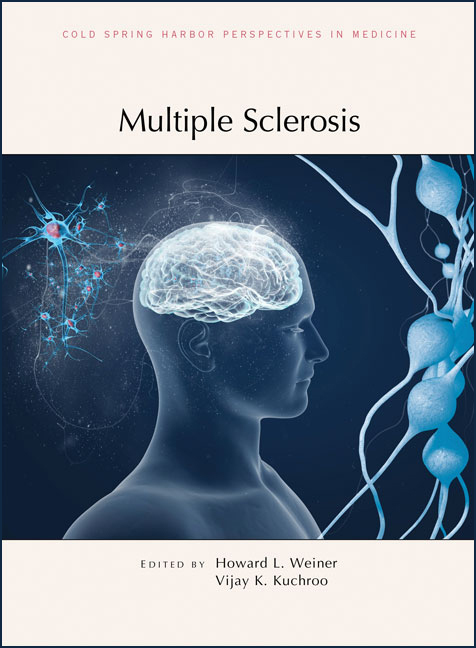 This volume is therefore an essential reference for not only immunologists and neuroscientists seeking to understand the biological basis of MS, but all physicians and clinician-scientists wishing to treat and ultimately prevent the disease.